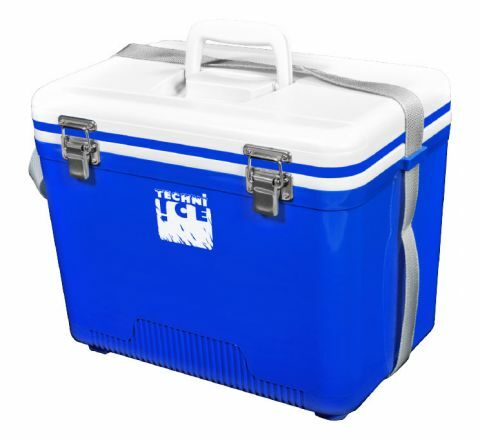 Techniice compact coolers are injection moulded Coolers designed and finished with High density PE and insulated with High Density moulded PS foam. 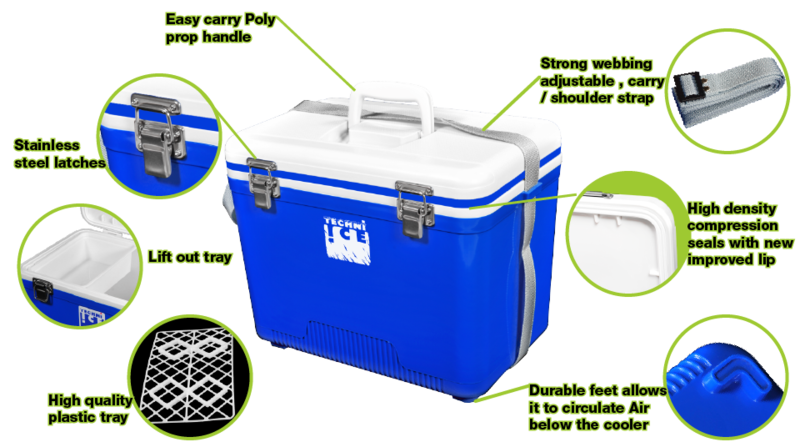 These compact coolers are designed to be airtight and make an ideal cooler for Lunch, Beach or BBQs. 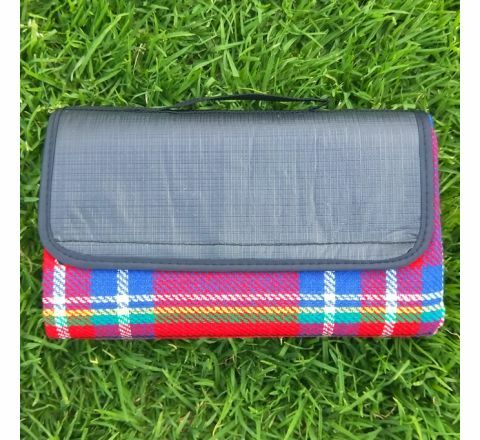 The High quality construction keeps cool for up to 3 days. 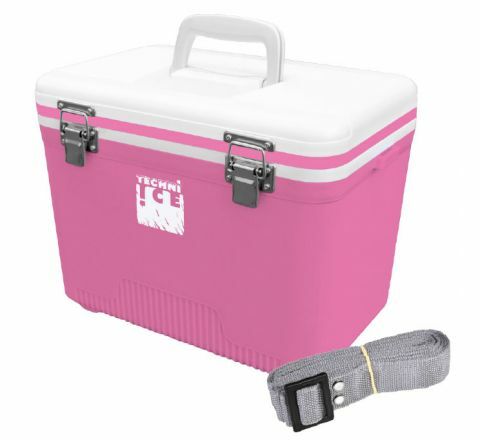 These Techniice coolers are designed with a strong carry handle and an adjustable strap. 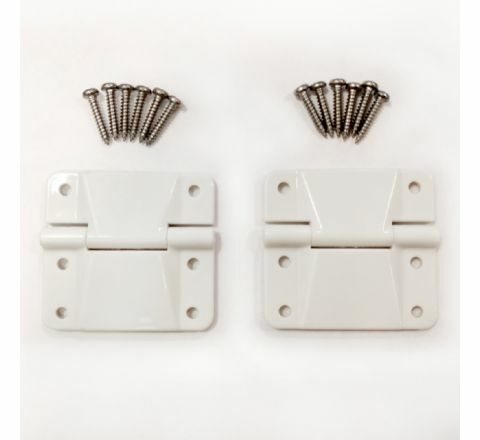 A combination of High quality Stainless steel compression Metal clips and compression seals with a positive lip makes them a 100% dustproof. 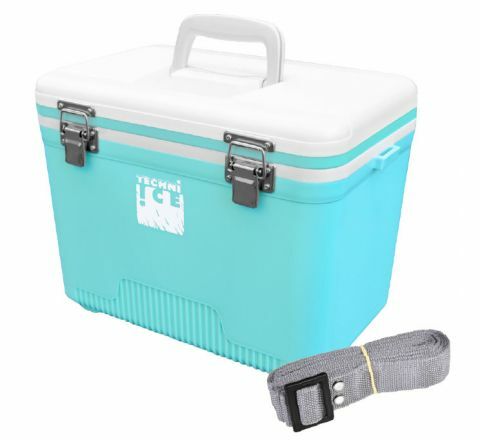 These boxes are designed as multipurpose air tight and water container and a fully insulated ice box for keeping food and drinks hot or cold. 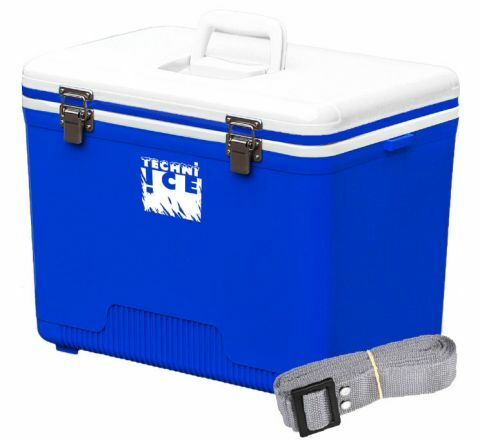 They are of very high quality construction and are designed to keep cold for 1-3 days thus making them ideal for short trips, BBQ's etc, The compact series have a proper compression rubber seal, stainless steel latches, a strong detachable webbing shoulder strap plus a lift out carry handle and removable ice tray. These compact series have already developed a big market in Japan and America as pathology boxes and are also very popular with consumers looking for a well made multipurpose box that is much better engineered than what is generally available to consumers.